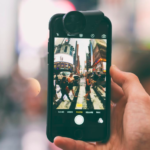 This review of Mobile Spy is absolutely real – it is one among the best mobile monitoring apps that are available in the market currently. I would advise readers to take some time to view this series of reviews and several others that I have written before deciding to purchase the product. Mobile Spy is simply fantastic. It has the capacity to do X to Z. it is installed one way, works another way and has features that are great. People are simply in awe of it. Here you will be able to purchase it, that’s all. Does it ring familiar? Of course this is the general format of reviews online that people love. I cannot tolerate them. Check out “What’s Wrong with Reviews?” my view on this topic. What is your expectation from a review such as this one? Would you like me to simple throw up everything exactly as the company states in their website? Note down every characteristic and elaborate it. Inform you of all the recommendations that users give directly from the software site? It will be too easy to fall for such a review but to have some value you must obtain variety of information. For getting information on sales visit their webpage! I’m guessing that you are visiting this site as you want to buy mobile monitoring software and cannot make up your mind. Will it be a waste of your cash? What you want is reassurance for whether your expenditure will be worth it. For this to happen you require the true opinion of a person who has used this software. You cannot blindly trust what is on the company site or some unreliable sales pitch of the information. It is time to get answers to some important questions. Instead of putting down a list of its features, here is small video that will explain the major features that Mobile Spy has. Watch the video and also check out our You Tube page. Is Mobile Spy The Best Option? Not really. It is not in case you want to listen to a conversation or the app does not work in your mobile. This is not the right question to ask. 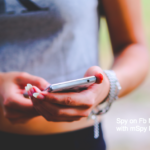 What you should ask is – is Mobile Spy the best app for you? It does not have as many features as some other apps. It’s not glamorous but it is dependable and cost effective, so if you just need simple monitoring it could be a good option for you. The major features are listed on my comparative chart (click to view). When you check the features closely you will find that there is a big difference which is, this app does not have recording or call listening features. Are you sure you really require those features? If the answer is yes be ready to spend a lot of money. The annual package costs about 100$ if you want to subscribe Mobile Spy. On the other hand, the fancy Flexispy Extreme costs about 349$ since it has a lot of features that are quite advanced which you won’t get from other companies. You need not waste your cash if you don’t require glamorous features. 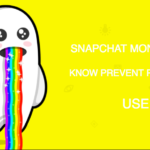 The simple spying service that you get in this app is generally sufficient for most users. Like any other software I have focused on this vital matter. All the apps work, the question you need to ask is if they will operate on your mobile. The main issue because of which people cannot get this kind of app to work is incompatibility of their mobiles. Every app provider will have a different variety of mobiles that can support the app and Mobile Spy boasts of the biggest lists of mobiles supported such as iPhone, Windows mobile, Android phones, Symbian and Blackberry. If your mobile is on this list with the right model and make as well as the right operating system you can use it. You can find a complete list on the site for Mobile Spy demonstrated with pictures. It is very simple to apply. 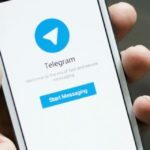 All the versions of android phones that have 4.4 OS, iPhones that have iOS 7.1.2 and Blackberry phones up to 7.1 are all that will work with this app. It also supports Symbian OS and Windows. Don’t forget that you will require a proper internet connection plan for any such monitoring app to work. Currently the largest variety of phones supported can be found with StealthGenie but most companies regularly update their apps so they can work on more new mobiles once they arrive in the market. You should be aware that you have to jailbreak your iPhone if you want any such app to work on it. 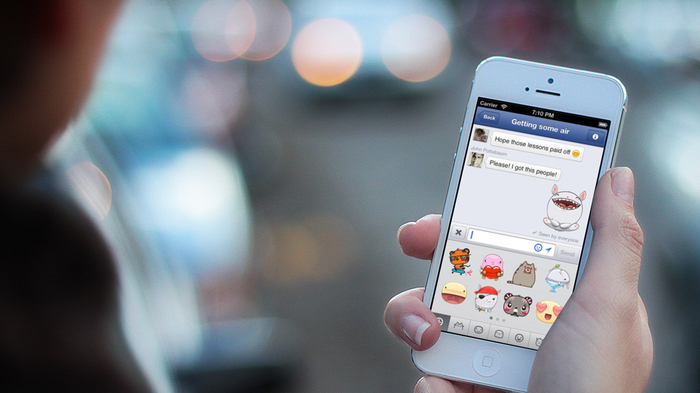 You can check out my article on how to jailbreak your iPhone easily and its advantages and disadvantages. Once the 6.5 version was released it could support the different versions of android tablets and iPads. The compatibility is similar to that of mobiles. It supports versions of OS and can be downloaded straight in your device. You will now be able to spy on activities that happen on an iPad or tab. The current update has new extra features. Monitoring Twitter and Facebook Apps: You can spy on Twitter and Facebook messages now and also see the messages, the time when they are received or sent and even details of contacts. Is it a waste of your money to buy a mobile monitoring app? This is something most people worry too much about when they are about to buy any item that is too technical. People want to buy something that is safe from a dependable company that will not cheat you. I think a dependable supplier is very important especially one that has a good reputation in the market. 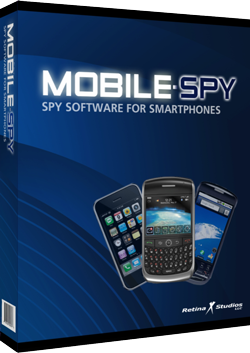 Mobile Spy is an American based company that has been there for a long time and has sold spy apps since 2003. Tech support is an important job and they do it well. Their site gives all the necessary information and answers all your questions. They have instructions in the form of steps which can be followed easily especially if you don’t understand technical stuff too much. They provide customer care lines and support through web chat if you require it. This will give you peace of mind since proper backup is there if you have issues with the product. To make sure the product is real try the support center lines before you purchase the app. One major problem a lot of people face is procuring refunds from the app company. Mobile Spy has a policy which says that they won’t provide any refund just because you had a change of mind. This is fair since there are people who may try this trick to get the product free. But if you face any tech related problems that cannot be fixed they will provide you a complete refund. This policy is standard and is used by most such companies. Subscriptions can be canceled online or through phone calls and your cash will be secure. Mobile Spy is a legit organization and I have never faced any problems from their customer services. Everyone wants a little extra especially if it is free and companies are aware of it. At times it is just the difference of purchasing or not purchasing. This app has a fabulous extra that I thought was quite useful. It is a subscription that is free, their SniperSpy PC Software. I would explain it in detail but it’s just a simple spying software for computers. I’m not generally too fond of such perks as they are pointless but this one is actually valuable. It helps me to track what my children are doing on their computers. It is easy and does its job quite well. But don’t fall for any marketing tricks or traps. If the product is useful then buy it, don’t do it just for some extra perks. When Should You Purchase Mobile Spy? What do you want to spy on and how detailed should it be? At times you will find that this app is your best option as long as you have a mobile that is compatible. If you don’t require recording or listening features then it is the most affordable option. If you have to monitor a mobile for a small duration of time, Mobile Spy provides a package of 50$ for three months. It is the best offer you can get. Such three month plans are provided by Mobistealth and StealthGenie as well. This app also provides a live demo for free. It is very good if you want to know how the user panel looks and reporting works before you purchase it. The app looks good and has proper backup with excellent customer support that you can rely on. If you don’t mind the lack of advanced features it is the best and most cost effective option for mobile monitoring. I have utilized it before and I will strongly recommend it. Right now, Mobile Spy is having an exclusive promotion where you can have 15% discount on anything that you buy of the app. You just have to visit the purchase page and check the box which says “I have a discount coupon” and type in mobspy15 and press the refresh button next to it. And you will find that you have 15% off on your total purchase, it’s so simple! I’m not sure what the duration of this offer is so go for it when you have the chance. I really hope that this article has been useful to you and if it has please do check out my reviews on StealthGenie and Flexispy and also the comparative review, so that you understand which the best mobile monitoring app in the market is. Make sure you know what the legal problems that surround using a mobile spying app are. Please don’t sue me!